When you think about the trends that come out of fashion month, it’s easy to let your mind go straight to the runways—and it makes sense. Historically, much of the focus has been on the catwalk. In the last several years, however, the focus has shifted (in part) to another aspect of fashion weeks in Copenhagen, New York, London, Milan, Paris, and more. Street style, which provides more immediately actionable inspiration, has continued to increase its market share of our attention, and it’s only natural. 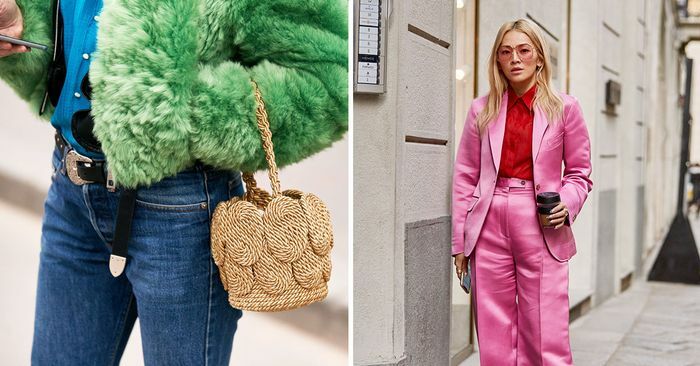 While the runways predict trends that will only become relevant in several months’ time, street style stars are wearing pieces that are predominately available in the moment and show us seasonally relevant styling tricks and trends that you can re-create immediately. That’s why I know that the colors below, which were all over street style this past fashion month, are likely going to be everywhere any minute now, more so than they are already. Just keep scrolling to see the proof, and shop each one.